Ever since I have known my husband Troy, he has had sensitive teeth. He can eat most things fine but really cold foods such as ice cream and popsicles really bother him. In fact, he rarely eats either of those items because of this. When I heard about the Colgate products that can help sensitive teeth, I was immediately interested because I feel bad for my husband that he cannot enjoy these foods, especially in the hot summer months. Troy decided to give these products a try and it has been helping his teeth! I picked up the Colgate sensitive toothbrush and sensitivity pen to try from my local Kroger. I am always amazed how much beauty and toiletry products that the Kroger by my work has because the one right by my house does not carry much of this. 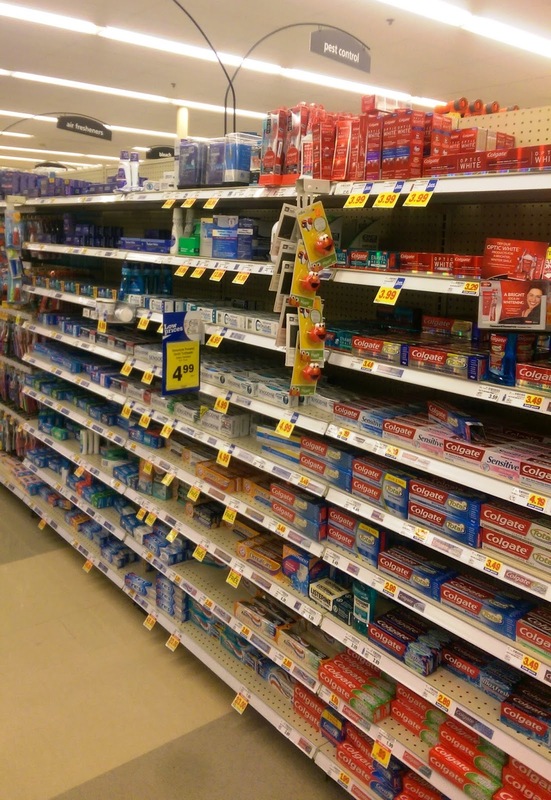 If you have sensitive teeth, you may want to try these products out to help. Since summer is coming and cold foods are awesome on a hot day, try them sooner rather than later so you can enjoy that fresh fruit popsicle or ice cream. The Actis Enamel Pen blocks sensitivity at the source of pain. Simply: Brush, Apply, Go. It is supposed to give you sensitivity relief 24/7 when you continue to use it. Over time, the formula will give a barrier so teeth are less sensitive. The toothbrush portion has extra soft bristles for sensitive teeth. Troy prefers this over a hard toothbrush. I like that you can use the pen right on the sensitive spot and that it is built right into the toothbrush. Troy has been using this product for a few days so far and has noticed some sensitivity relief. We tested it out by having a bowl of ice cream for our evening date night of watching Parenthood and this product has helped him a lot. Troy said that his teeth felt better than they usually do when he eats ice cream! Success! Ice cream nights are the best- especially with the warm weather. This particular kind is peanut butter s'more flavor! For more information about these products, check out Colgate. Your local Kroger store (or Kroger banner store) may offer different coupons for these products- check your store's website.